One of the biggest, craziest, most wonderful, most difficult, most beautiful things in this world is love. It can span a massive space like the expanse of a beautiful sunrise or it can snuggle up tight into the smallest corners – those you don’t even know are important until love miraculously grows there. 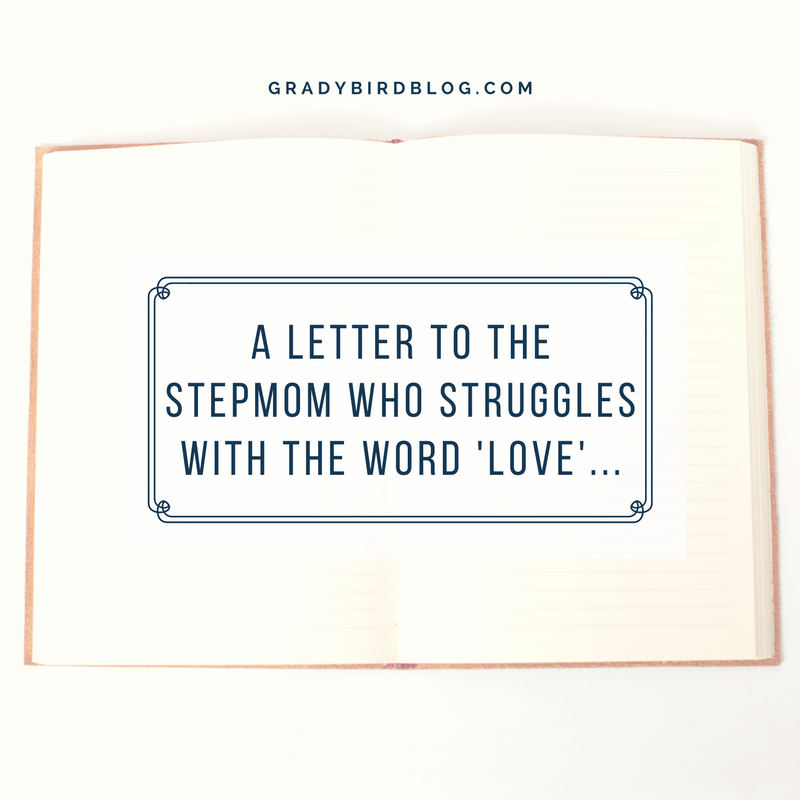 And for a stepmom this word can be particularly hard. Particularly weighty. 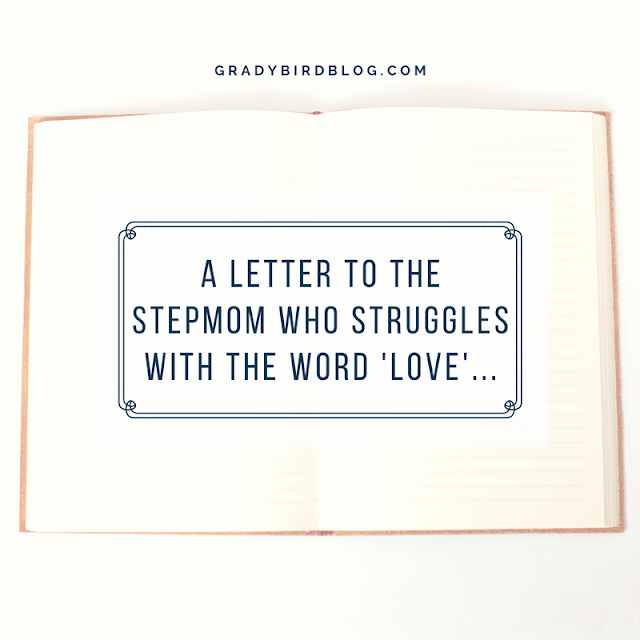 It feels almost horrible to say this – to acknowledge that it could be tough to love a child. That it could be painful to love a child. But to a stepmom, a child’s very existence in the world is a living, breathing, walking, talking, giggling symbol of a love between two people. And neither one of those people is you. This child is the forever present, forever obvious proof that someone was here before you. And I know, I really do, I know it can be so hard to let your soul feel love for this being. This person whose very life and breath and tantrum and smile represent another world altogether. They can be blinding, the reminders of the past. The offhand comments people make about the world before you, as you sit silently and handle it. Trying to hold back tears as you fight to remain important. Wishing with all your might that this family you entered could somehow magically morph into the perfect, nuclear family you probably dreamed of as a child, with no past – only a future with you. But you know what? That wouldn’t be real. That wouldn’t be life. And it’s okay, if you can and if you do, to love this person. To let yourself love. It’s going to hurt, but you already know that. Love is almost never without pain. But you know what else? It is okay to feel how you feel, no matter what that is. I know that it’s overwhelming. I know that it’s scary. But I also know that I have never felt more proud than when I hear my stepdaughter make a brilliantly sarcastic comment, or frankly point out some feminist idea, or try to pick out the perfect Christmas present for her father. She may not be made from me. She may not have come from me. But she is a part of me and I am unquestionably a part of her. I know that I love this child. I know that I would move mountains for her if I could. Do I “love her as if she was my own?” Boy, we sure hear that phrase a lot, don’t we? I don’t have any biological children so I don’t know. But I also don’t think it matters, not really. Why is that the bar that we set for ourselves in love? Why is “loving like our own” the most important thing? What I know is that I love this child. I love her for her passion and her wildness and her sensitivity. I love her brilliant mind and her hilarious spirit and her kind soul. I love her crazy snarled hair and her fake smile when she poses for photographs and the way her arms flail wildly when she’s excited about something. Your journey with love may not be easy. It may not be instant; it may not have happened the second she was born, but so what? You are present and you are able and you are trying. Give yourself time and give yourself grace. I understand. I’m with you. Keep trying. Keep loving.